Seamless gutters are the best way to ensure that you will not have any leaks. Period. Leaks are one of the most problematic issues with gutters, causing water to back up and remain on your home rather than be directed away. Too much water left on your home can cause serious problems with its foundation, basement, and its exterior materials and appearance. Seamless rain gutters are the highest quality product you can purchase for your home. And the best part is that they are an investment that lasts. Standing up in even the toughest weather conditions, your new gutters will ensure that they do their job, always. If you’re looking to upgrade or replace your current gutter system, seamless gutters are a great option. Every customer and client that has us install seamless rain gutters raves about how well they work and look. While the price of what seamless gutters cost can deter some homeowners from taking action, the overall investment is minimal when compared to the potential cost of repairing serious issues caused by an old gutter system that no longer functions. And replacing your gutters isn’t boring! Seamless rain gutters blend so well with your home’s appearance that they actually enhance the curb appeal! Made of galvanized steel that is tightly secured and designed to blend perfectly with your home’s exterior, your new rain gutters will be stronger and more efficient than those in your current system. By switching to seamless gutters you can rest assured knowing that your home is safe and protected. Heavy downpours, high winds, snowstorms, and brutally cold temperatures? Not a problem! 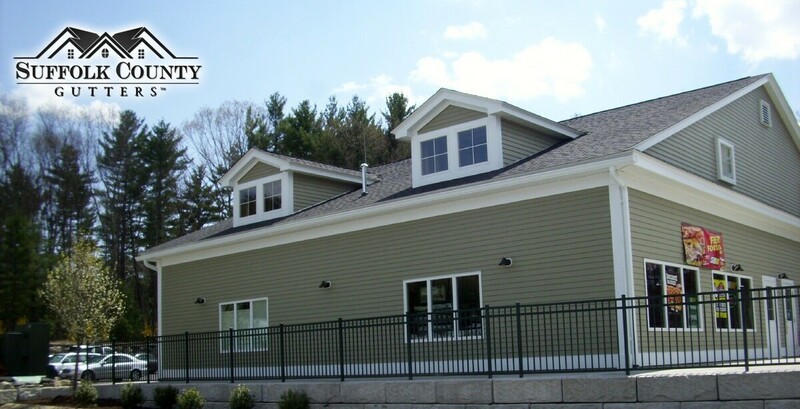 Give us a call today and let us make your gutter system seamless!